Offering a solution for portable storage units and self-storage units. 30 years of German engineering available in the USA. Portable steel storage container with easy interlocking assembly and no tools required. A variety of sizes available -all with the ability to connect several units together. Completely customizable with an assortment of easy-to-install accessories. 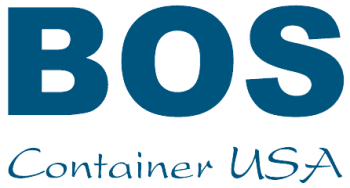 BOS Containers offers versatile solutions for different industries, including but not limited to the construction, fire and flood remediation, and rental industry. Our wind and weather resistant units come in six different sizes and can be easily fitted to suit self-storage and portable -storage businesses. Portable BOS units have a self-supporting structure, and are light-weight yet strong. Full containers can be moved either by hoisting with a crane or carrying with a forklift.